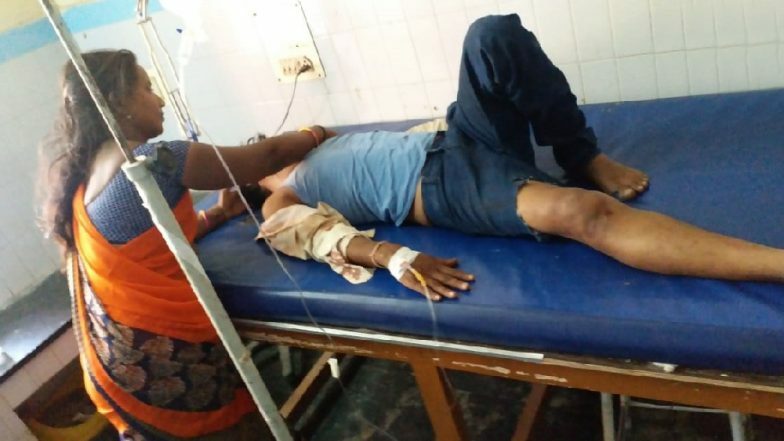 Hyderabad, April 12: In a tragic incident, at least seven people have been killed in a road accident near Tanakallu area in Andhra Pradesh on Friday. According to a tweet by ANI, over nine people have been injured in the collision. Reports inform that the horrific accident took place after the minibus and a lorry collided on NH 42 near Tanakallu in Anantapur district. Greater Noida Road Accident: Bus Rams Into Truck on Yamuna Expressway, Eight Dead. As soon as the incident was reported, police swung to action. The injured one were immediately rushed to a government hospital. An investigation into the matter is currently underway. The drivers of both the vehicles have been absconding since the time of the accident. More details awaited. According to a report by The Hindu, Kadiri Circle Inspector of Police informed that the accident took place around 6.30 a.m on Friday. The official added saying that all of them were passengers in the van that was coming towards Kadiri.